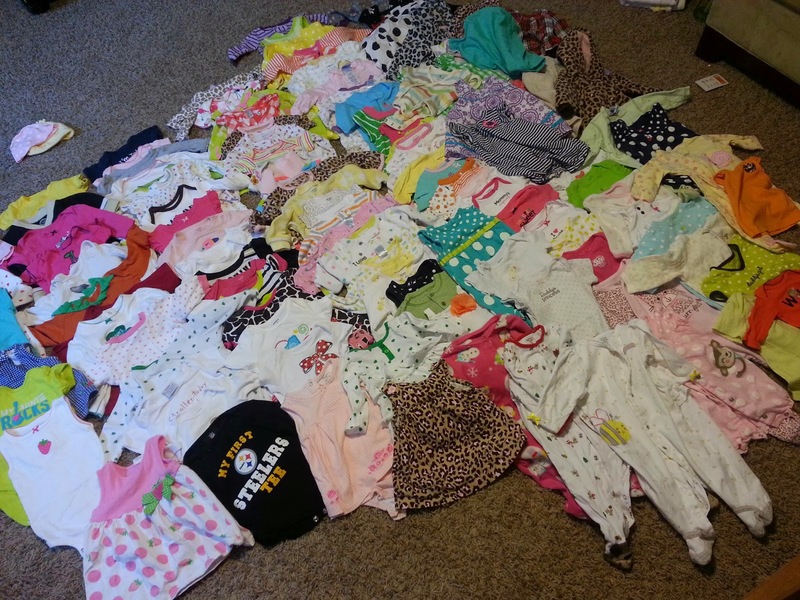 What do you do with all your little one's baby clothes once they outgrow them?! I have worked on many quilts, and one very special birthday quilt that combined clothes, fabric squares with messages, embroidered messages, etc. 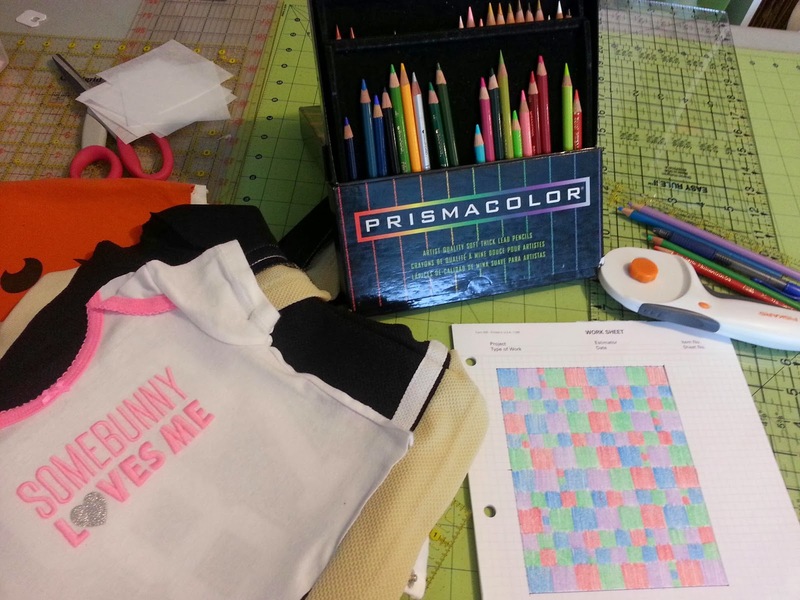 I love these projects because they create a wonderful quilt to display and remember all those special items that you just can't throw away / donate. So when Zoe's mom contacted me.... I was so excited to be given the opportunity's to work on this project! I received a BIG box on Wednesday and I have to say - it's fun seeing all the pink and ruffles (our boys don't wear pink / ruffles THAT often!). This quilt will take weeks to sort through, design, stabilize each piece, cut, layout, piece together, and eventually quilt, bind, and send to Zoe - but it will be a labor of love! Here are a few pictures so far... A disclaimer: they are cell phone pics! Thanks Jessica! I'm really excited to keep working on it - I have always loved these quilts, too!